A fictional biography of Sherlock Holmes by the prolific Sherlockian writer Michael Hardwick. This fictional biography by a Holmesian expert and biographer of Sir Arthur Conan Doyle is the first totally convincing account of the great detective's life. A vanished world is magnificently evoked as Holmes recounts a career that began with methodical self-training in criminal investigation, an apprenticeship with the famous Pinkerton Agency in Chicago, a fateful meeting with Dr. Watson in the laboratory of St. Bartholomew's Hospital, and the move to Baker Street, which began their long partnership in adventure. 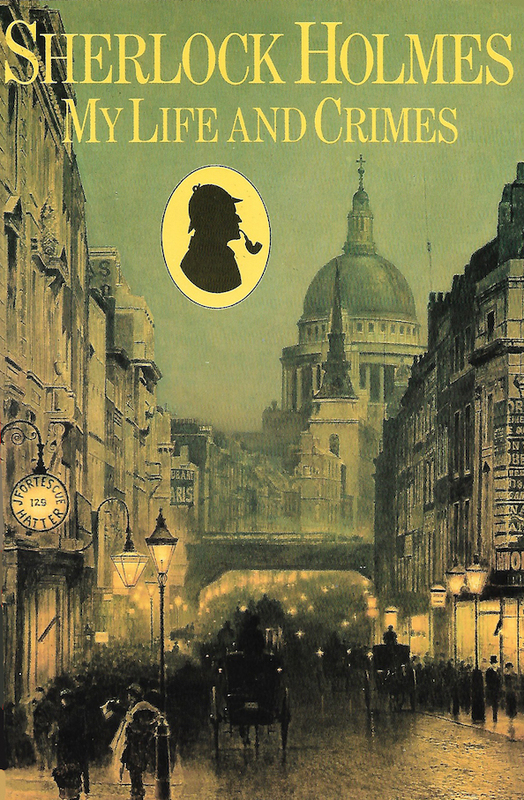 Holmes also reveals the sensational details of what really append at his confrontation with his archenemy Professor Moriarty at the Reichenbach Falls and during the three "missing" years before he tuned up again in Dr. Watson's rooms in London. Ingeniously based on Sherlockian scholarship, this book demonstrates the author's uncanny abilities to use the immortal characters and their surroundings with an understanding that has been praised as making the book worthy of a place alongside the great originals.